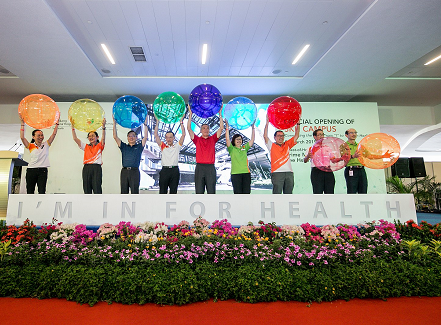 23 March 2019, marks the SKH Campus' most significant milestone – the Official Opening of Sengkang General Hospital (SKH) and Sengkang Community Hospital (SKCH). We celebrated this special occasion with some 700 guests comprising community partners, the healthcare fraternity, our SingHealth Duke-NUS family and staff. 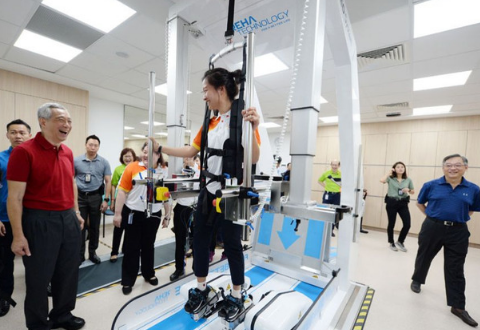 Officiating the launch was Prime Minister Lee Hsien Loong, who welcomed the SKH Campus - the latest addition to the Singapore healthcare scene. It was an honour to have PM Lee mark this momentous occasion with us. Speaking at the ceremony, PM Lee congratulated SKH and SCH and highlighted the critical role both hospitals play in meeting the healthcare needs of Singapore's rapidly ageing population. PM Lee also noted that the hospital campus' integrated and patient-centred approach would make an impact on the community. PM Lee and our guests also had the opportunity to tour the campus. Along the way, they stopped by the Community Heart for an immersive augmented reality (AR) experience at the 'Rhythms of Nature' art installation. With the aid of a QR code reader, the art installation magically comes to life on phone screens, offering a pleasant respite for visitors and caregivers. Beyond a celebration of the official opening, we also took the opportunity to celebrate the coming together of our partners, the community and our healthcare team. 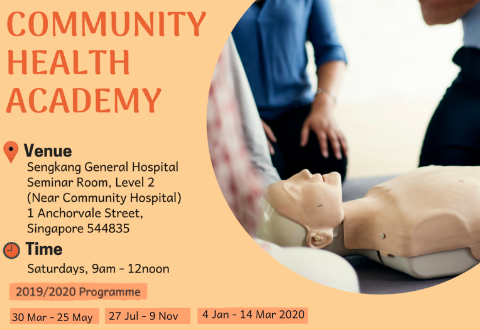 After all, the opening of the SKH Campus represents the culmination of years of close partnership with our community and healthcare partners and grassroots organisations. The SKH family is excited and energised as we embrace a new chapter in our journey to bring to life our mission of 'Better Health Together'. We are committed to serving the community by preventing illness, detecting diseases early and managing chronic conditions well. We will work together with you to achieve better health, better care and a better life!